NYC Immigration Lawyers, Naturalization, Green Cards, Deportation Defense, Brooklyn, New York - How Do I Apply for Derivative Refugee Status for My Spouse or Children? » How Do I Apply for Derivative Refugee Status for My Spouse or Children? How Do I Apply for Derivative Refugee Status for My Spouse or Children? If you have not yet registered for refugee status, you may include your spouse or any unmarried child under the age of 21 on the form entitled, "Registration for Classification of a Refugee." For more information, please see, How Do I Apply for Resettlement in the United States as a Refugee?. If you have already been admitted to the United States with refugee status, you may apply for derivative refugee benefits for your spouse or child. Please also see Application Procedures: Settling a Child as a Derivative Refugee in the U.S., and Application Procedures: Settling a Spouse as a Derivative Refugee in the U.S.. This means that your spouse or child may be granted refugee status based on your own refugee status. An "accompanying derivative" is a child or spouse who is with you when you are admitted into the United States as a refugee, or a child or spouse who joins you within four months after you are admitted into the United States as a refugee. A "following-to-join derivative" is a child or spouse that joins you more than four months after you are admitted into the United States as a refugee. For an excellent overview of the U.S. refugee program, please see the chapter on refugees in the Immigration Statistical Yearbook. The Immigration and Nationality Act (INA) is the law that governs the U.S. refugee program. For the part of the law concerning refugees, please see INA § 207 and the definition of a refugee as it appears in the INA at 101(a)(42). The specific eligibility requirements and procedures for applying to bring your child or spouse to the United States as refugee are included in the Code of Federal Regulations [CFR] at 8 CFR § 207. You may apply for derivative refugee benefits for your spouse or unmarried child under the age of 21 within two years of your admission to the United States as a principal refugee or by February 28, 2000, whichever is later. If your child or spouse is already in the United States, they may be eligible for settlement as a refugee, regardless of whether they are in the country legally or illegally. The relationship between you and your spouse and your child must have existed when you were admitted as a refugee and must continue to exist when you file Form I-730 (Refugee/Asylee Relative Petition) and when your spouse or child is admitted to the United States. If your child is outside the United States and has been approved for derivative refugee status, your child will be able to come to the United States as a refugee at any time as long as they are under 21, unmarried, and maintain their relationship with you. If your spouse is outside the United States and has been approved for derivative refugee status, your spouse will be able to come to the United States as a refugee at any time as long as your spouse remains married to you. · You may apply for derivative refugee status for a child who was already conceived, but not yet born, on the day you were admitted as a refugee. · You may apply for derivative refugee status for a step-child if the marriage between you and the child's parent took place before the child's 18th birthday. · You may apply for derivative refugee status for an adopted child if the adoption took place before the child's 16th birthday and the child has been in your legal custody for at least two years. · You may not apply for derivative refugee status for your child's mother unless she is married to you on the date of your admission to the United States. Parentage testing, also referred to as blood testing or DNA testing, may be requested only after initial and secondary forms of evidence have proven inconclusive. Tests will be conducted at the expense of the petitioner. Parentage testing must be conducted by an American Association of Blood Banks ("AABB") accredited laboratory. A current list of the AABB accredited parentage testing laboratories can be viewed on the American Association of Blood Banks website. You may also wish to read the Fact Sheet about Parentage Testing. After your spouse or child is admitted to the United States as a derivative refugee, they must be granted special permission to travel abroad until they adjust to lawful permanent resident status. For more information, please see, How Do I Get a Travel Document? For other specific eligibility information, please see Form I-730 Refugee/Asylee Relative Petition and 8 CFR § 207. Please also see Application Procedures: Settling a Child as a Derivative Refugee in the U.S., and Application Procedures: Settling a Spouse as a Derivative Refugee in the U.S.. Your spouse or any child over the age of 14 will be eligible to work after their application for derivative refugee status has been approved and they have been admitted to the United States. Upon their admission to the United States, the U.S. 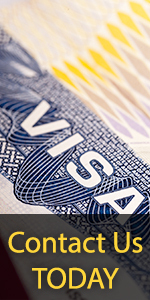 Citizenship and Immigration Services will issue your spouse or child an I-94 Arrival - Departure record that will prove that your spouse or child is a refugee and is allowed to work in the United States. Your spouse or child also has the option to file Form I-765, Application for Employment Authorization. This form may be filed at the same time that you file for derivative refugee status for your spouse or child. However, a work permit will not be granted until after the application for derivative refugee status has been approved and your spouse or child is admitted to the United States. For more information, please see How Do I Get a Work Permit? If you have filed Form I-730 (Refugee/Asylee Relative Petition) on behalf of your spouse or child, please contact the Nebraska Service Center, which is where you should have sent your application. You should be prepared to provide the staff with specific information about your application. Please see Finding the status of your case for complete instructions on checking the status of your application. If your application for derivative refugee benefits for your spouse or child is denied, you will receive a letter that will tell you why the application was denied. You will not be allowed to appeal a negative decision to a higher authority. However, you may submit a motion to reopen or a motion to reconsider with the Director of the Nebraska Service Center. By filing these motions, you may ask the office to re-examine or reconsider the decision. A motion to reopen must state the new facts that are to be provided in the reopened proceeding and must be accompanied by affidavits or other documentary evidence. A motion to reconsider must establish that the decision was based on an incorrect application of law or USCIS policy, and further establish that the decision was incorrect based on the evidence in the file at the time the decision was made. For more information, please see How Do I Appeal the Denial of Petition or Application?